My sister sent me an updated photo of her deck garden. 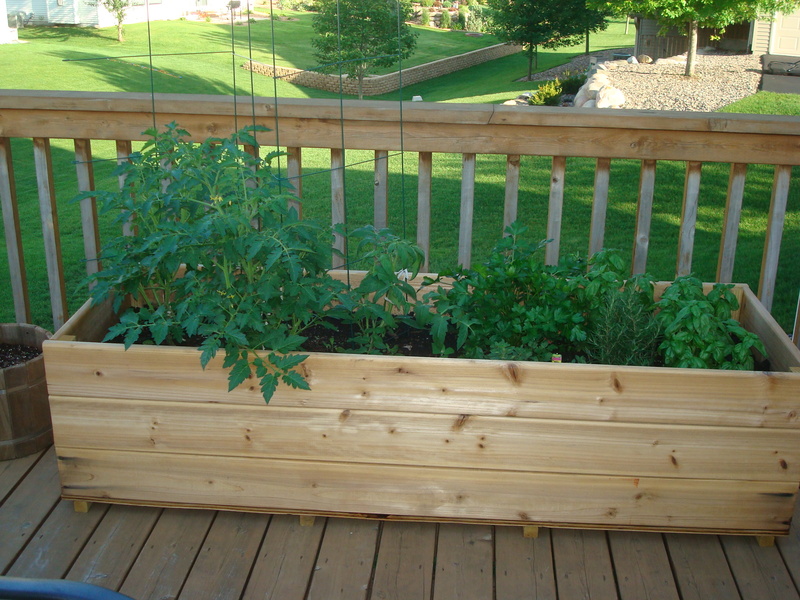 As you can see, even in this small space, they have herbs galore (parsley, three basil plants, and rosemary), and a couple of very nice looking tomatoes. The family has already had pesto a few times this summer. With the heat we’ve had the last couple of days, the plants should get even bigger in the next week or so. I’ve also discovered another benefit of deck gardening in my own yard. I have a small window box on my deck that I planted greens in — mostly beets and chard. While the bunnies have been rampaging through my raised bed with lettuce and greens, they stay off the deck, so I’ll be eating deck-grown salad this week.